Empire Training Centers are held approximately one time per month from March-June. During this time there is no Pre-Development Academy training due to the high volume of matches and leauge play for players u11-u14. ETC's are run by the Development Academy staff, allowing the DA staff continued contact with players through the busy spring season. These training centers are club neutral events. Empire players and affiliate club players have the advantage of being in front of the DA staff more frequently, and is a reason why ETC involvement is consistently populated by over 80% with those players. Empire United works in conjuction with US Soccer and Professional clubs to offer unique opportunities during this time period. In April of 2018 Crew SC of the MLS ran the ETC at Empire United's Soccer Center. 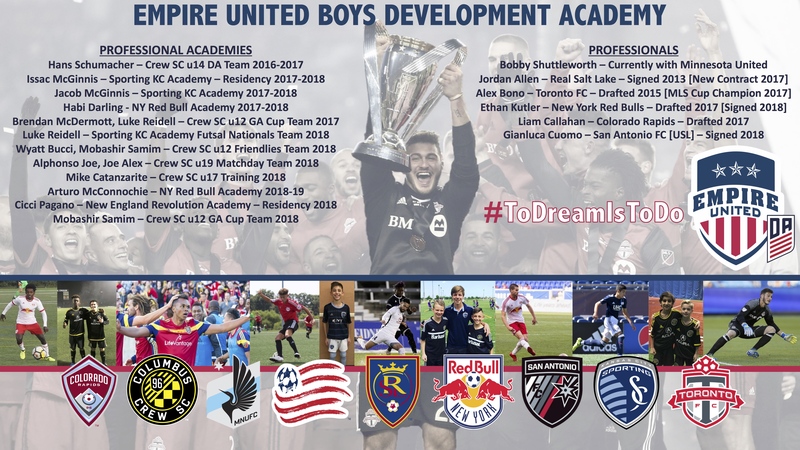 In June of 2018 a US Soccer YNT (Youth National Team) Scout attended the ETC, which was run by Empire United DA staff members. 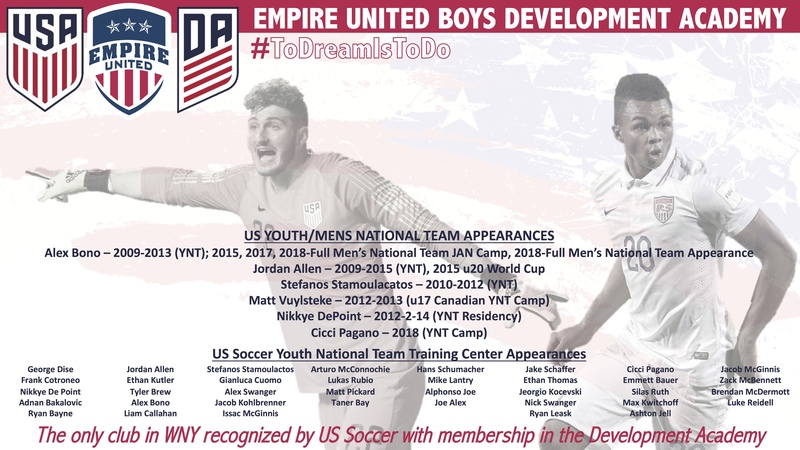 During June of 2018 an Empire United 2003 player was selected to attend a US YNT Camp in Braenton, FL. Two players who attended the ETC ran by Crew SC logged minutes for Crew SC during events in 2018-19 and one player who attended the ETC signed and has played for them full-time on their u15 Development Academy team for the 2018-19 season. 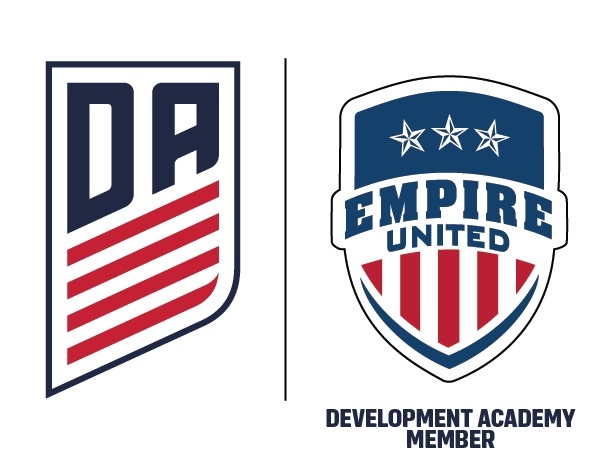 Empire United has provided these cost free learning opportunities and play days for nearly 10 years now, and it continues to be a key part of the club's player development model and player identification process.